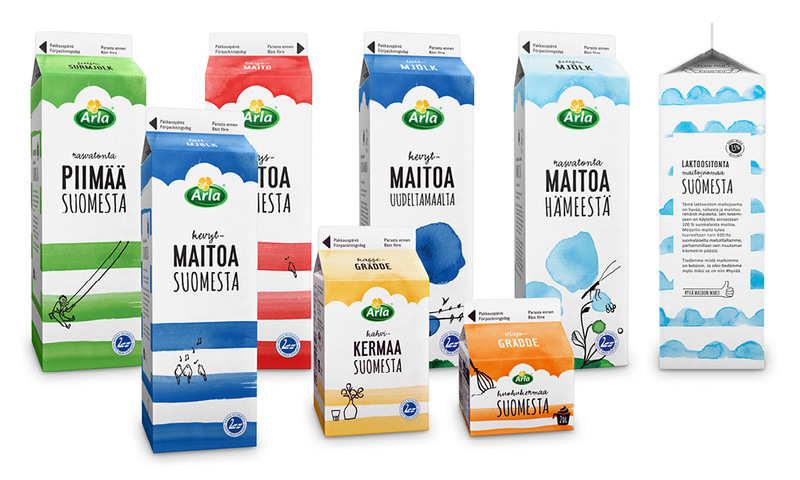 Arla’s dairy products experienced a wide-range visual renewal through the new skyline identity. We implemented the new design to all Arla’s product packages and finalised the artworks for different printing methods. With our expert knowledge of printing techniques, we made sure that the designs and colours were printed as planned to different packaging materials.